The SAFC invites you to an information session with Rick Kalowski, who will outline the ABC Comedy division’s approach to commissioning. Rick will also describe the process for comedy project development and for submitting projects for consideration. This seminar is a unique opportunity to get tips on preparing a pitch for ABC Comedy and benefit from Rick’s expert knowledge. 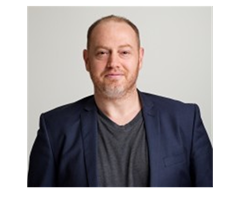 Rick Kalowski is ABC Head of Comedy, responsible for overseeing development, commissioning and production of all adult scripted comedy for ABC TV and ABC iview. Shows commissioned and aired since Rick joined ABC in September 2013 include the Logie and AACTA Award-winning UTOPIA Series 1 (and series 2), Shaun Micallef’s THE EX-PM, the AACTA Award-winning and Emmy nominated PLEASE LIKE ME Series 2 (and Series 3), the Bondi Hipsters’ SOUL MATES, UPPER MIDDLE BOGAN (Series 2), THE MOODYS, IT’S A DATE (Series 2), the broadcast pilot TIMOTHY, and the first original iview comedy series NOIRHOUSE. A multi-award-winning comedy writer / producer with around 90 hours of produced credits, Rick’s own shows include ABC’s late night satire series Wednesday Night Fever (2013) and the top-rating sitcom At Home with Julia (2011). In late 2015, Rick was named among The Sydney Morning Herald/The Age’s ’Most Influential People in Television’.